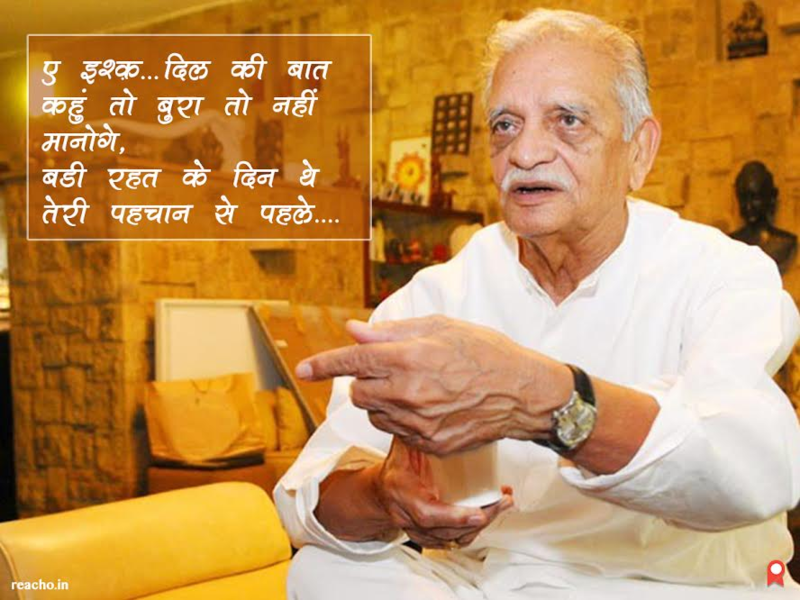 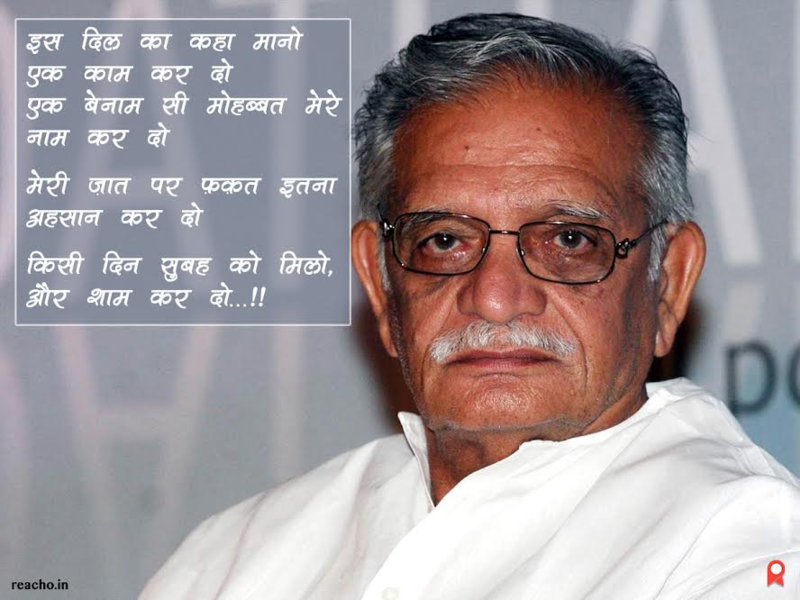 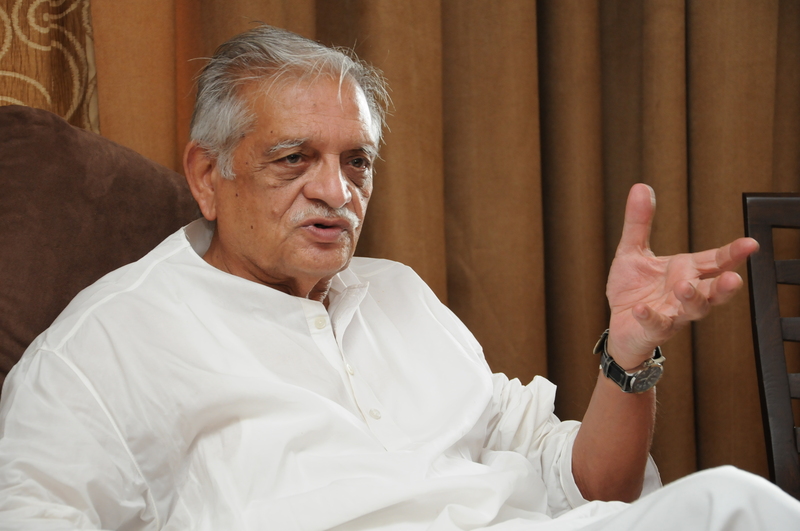 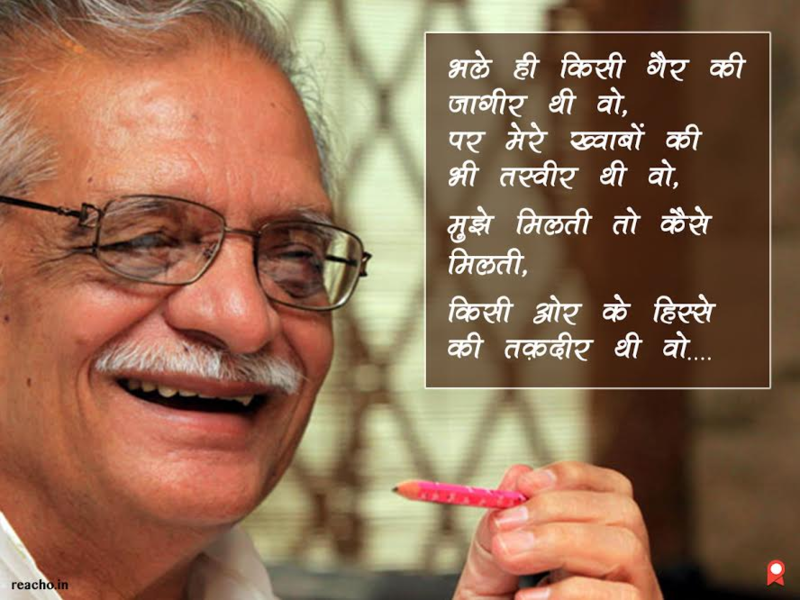 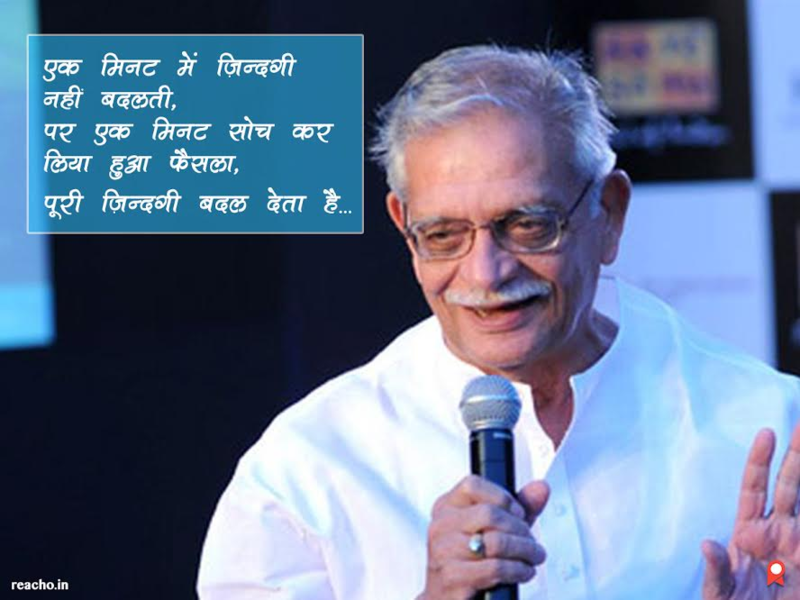 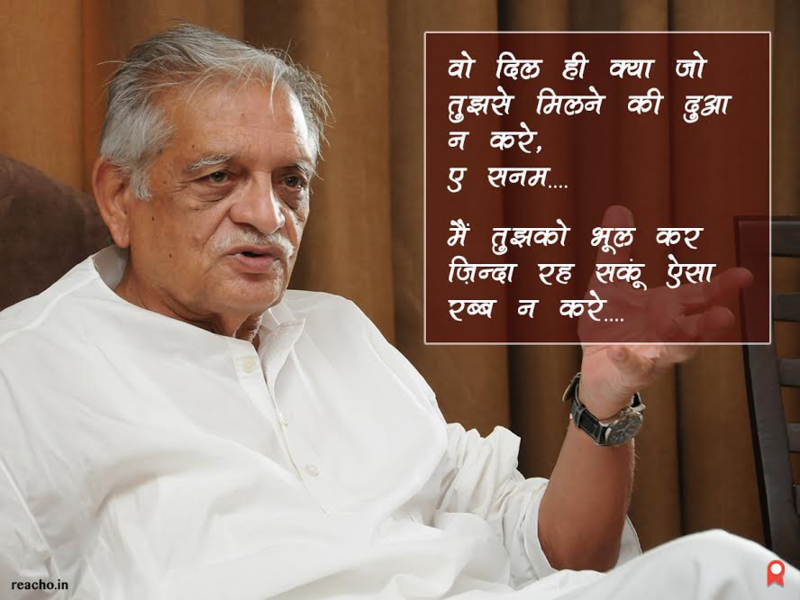 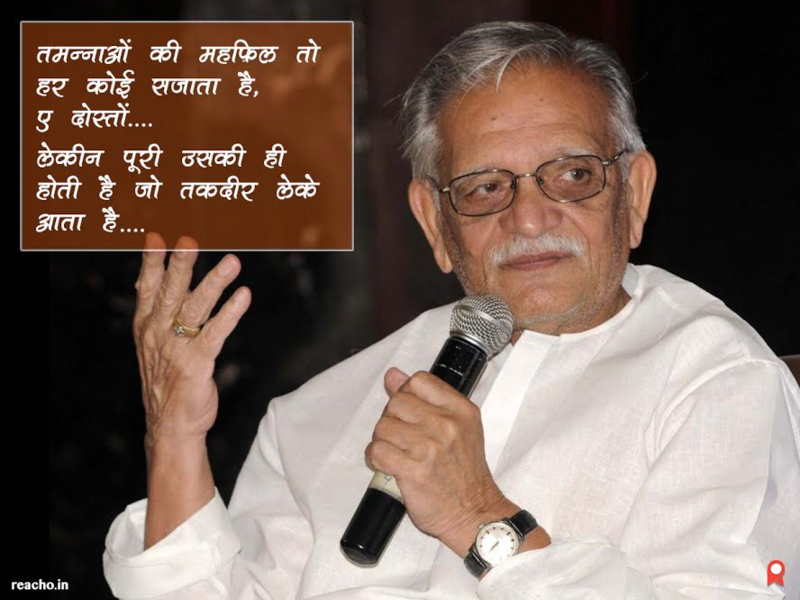 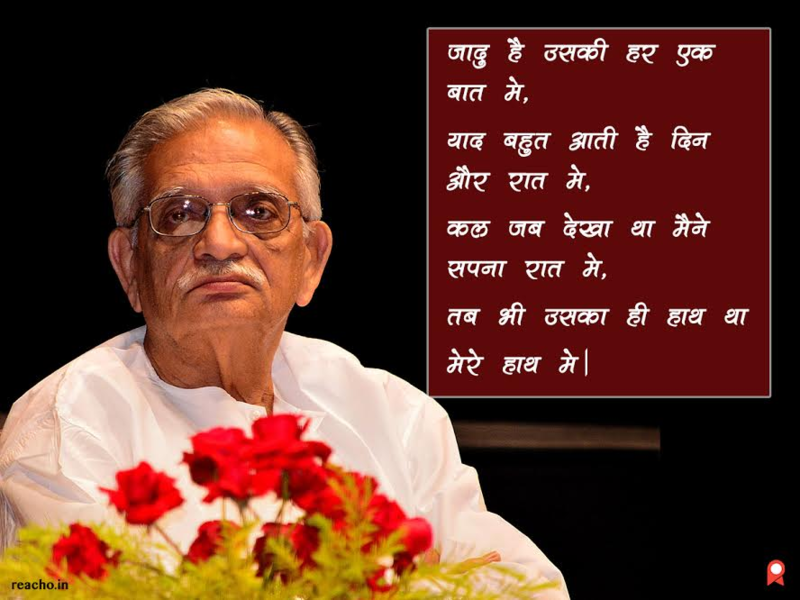 Oscar winner lyricist and writer Gulzar is undoubtedly the king of words. 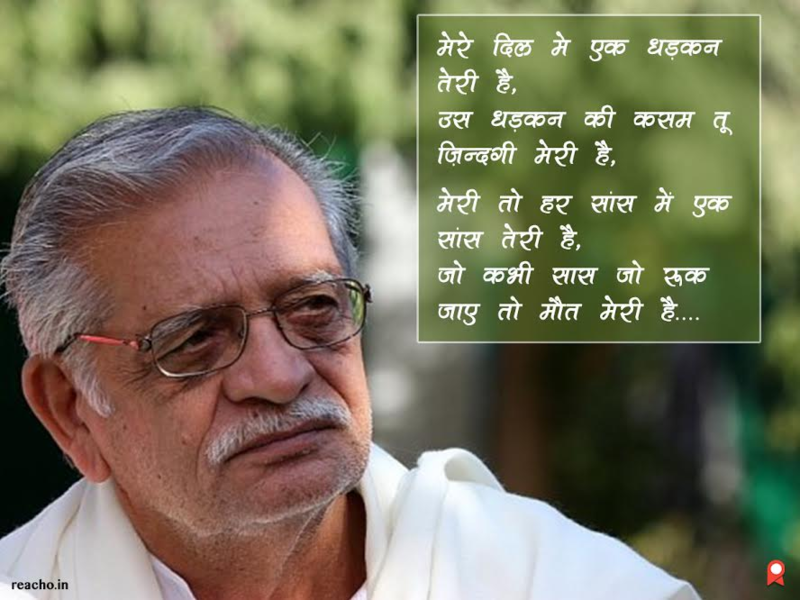 His songs and shayaris are so soulful that it directly strikes a chord with your heart. 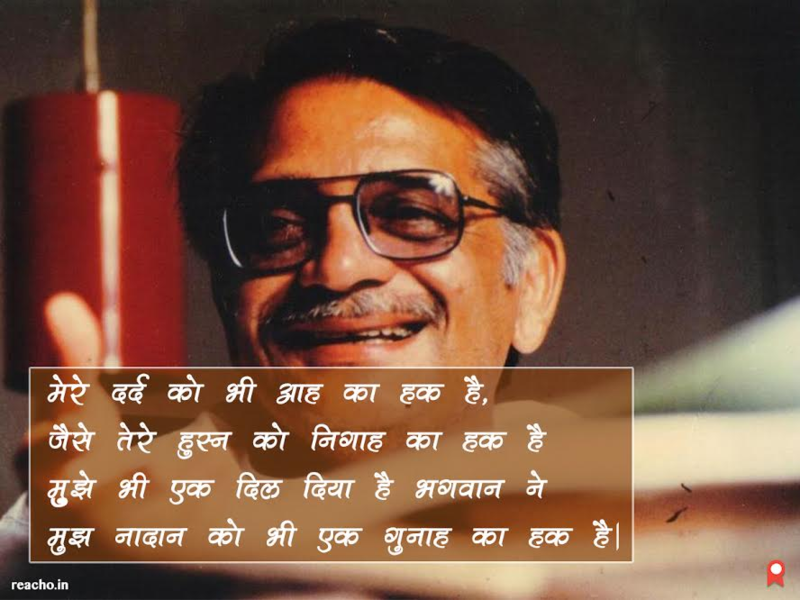 His Hindi works are just as exemplary as his Urdu works. 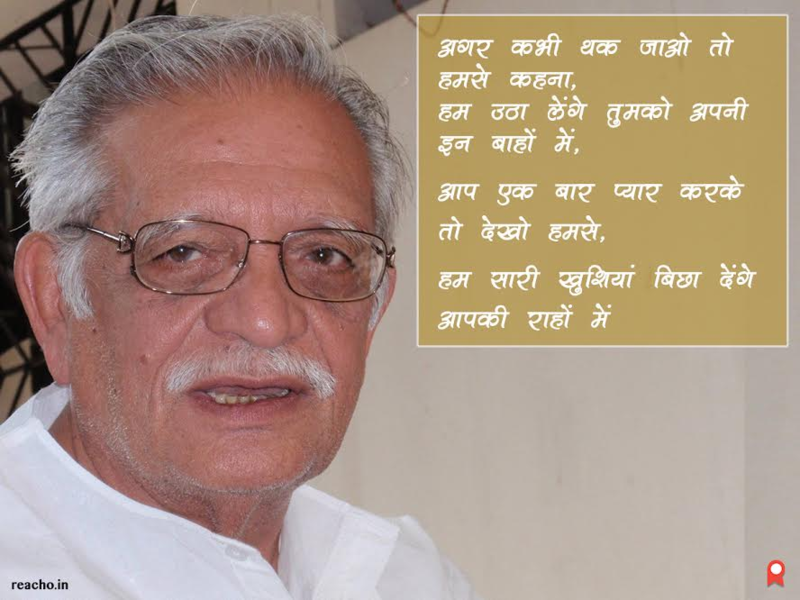 So on his birthday we bring you some relatable shayari by this maestro that will make your day special.